Prepared by Ian Smith, 13th May 2009. 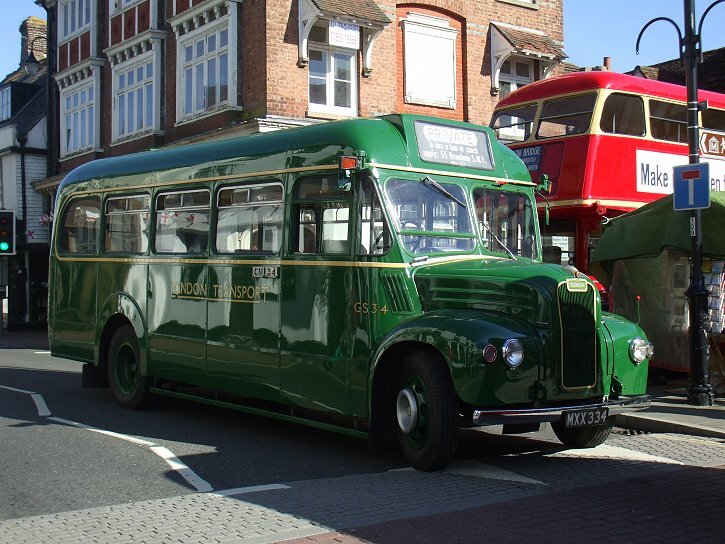 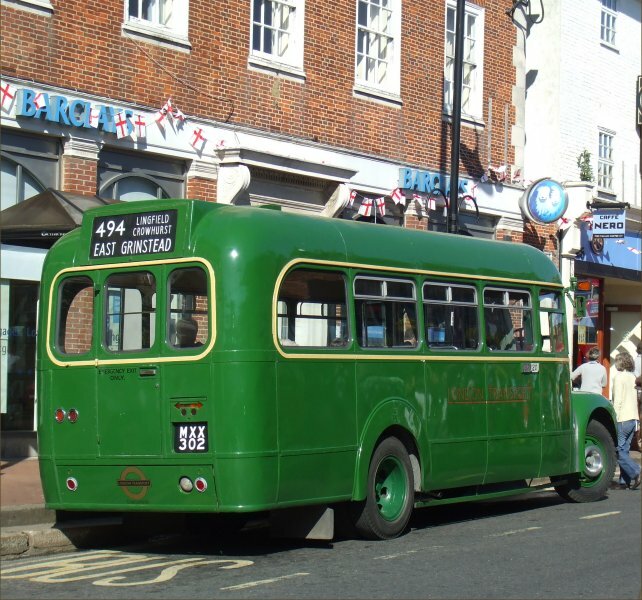 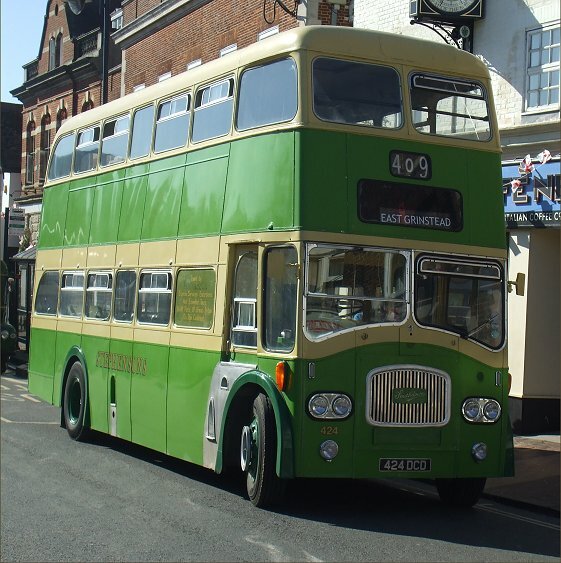 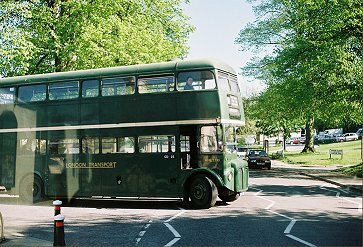 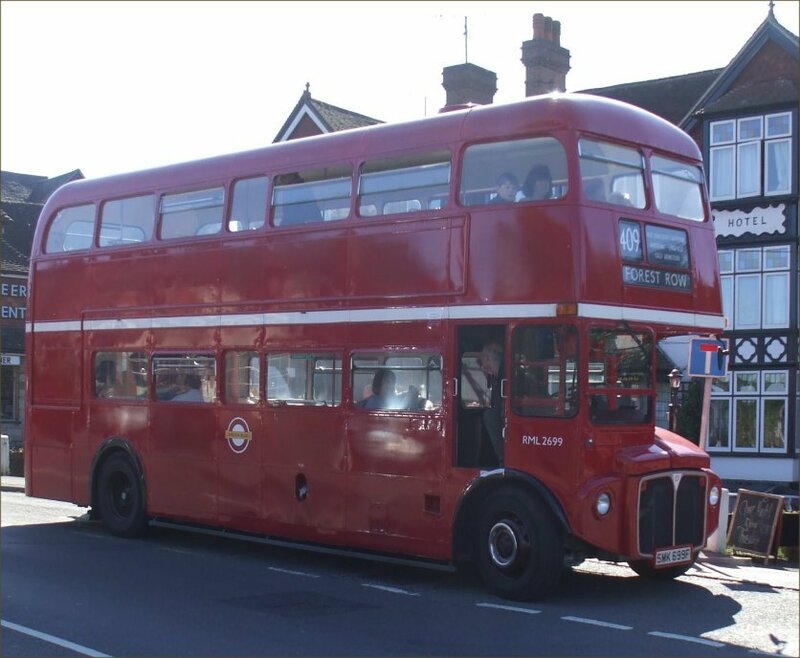 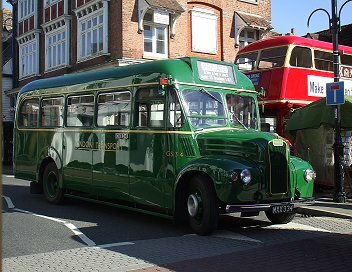 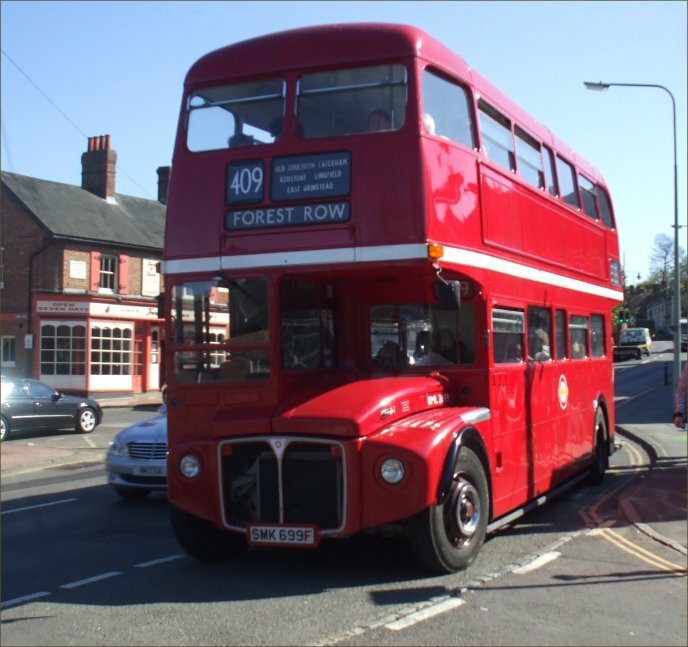 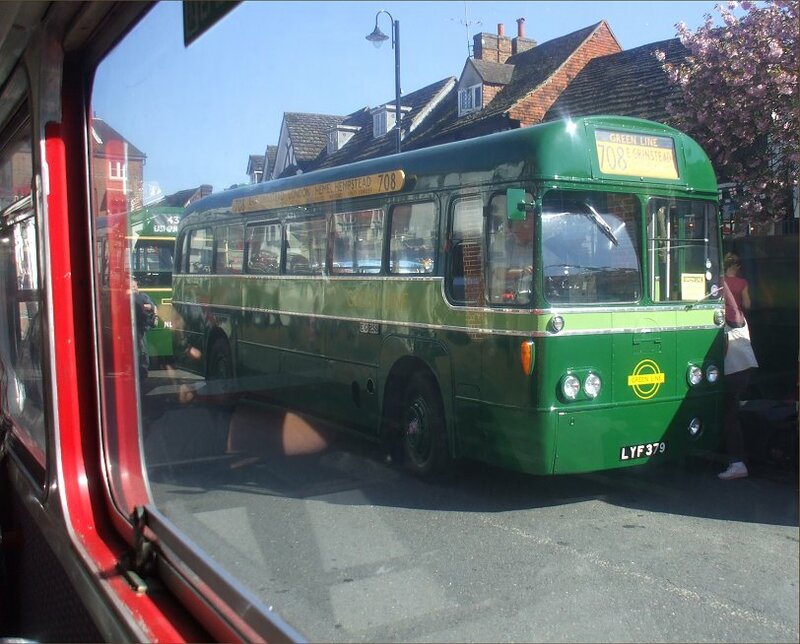 RML2699 was standing by The Crown in East Grinstead, set up for a journey to Forest Row, having arrived from Oxted and done its station loop. This journey was an unscheduled extra, it turned out, when I consulted the timetable. 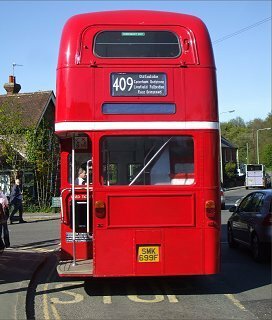 I climbed aboard. 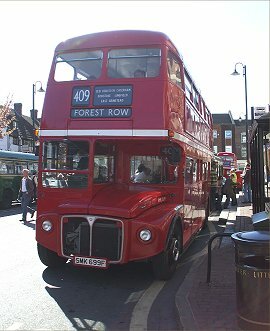 RF28 was just across the street, after its forays on the 708. 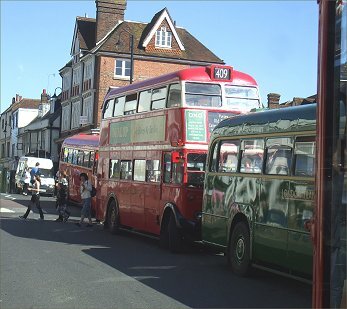 As we pulled away we passed RF679, RT3062 and RF429 standing on the High Street. 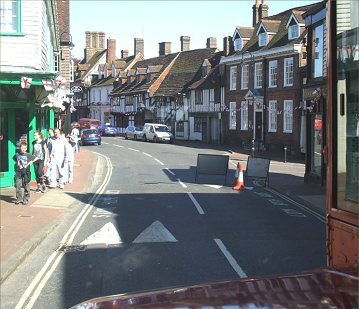 We continued past the "Road Closed" sign and on along the attractive street. 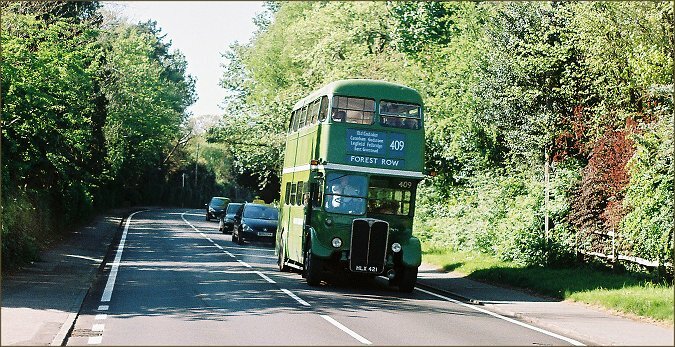 We were soon out of the town and down the A22 towards Ashurst Wood. 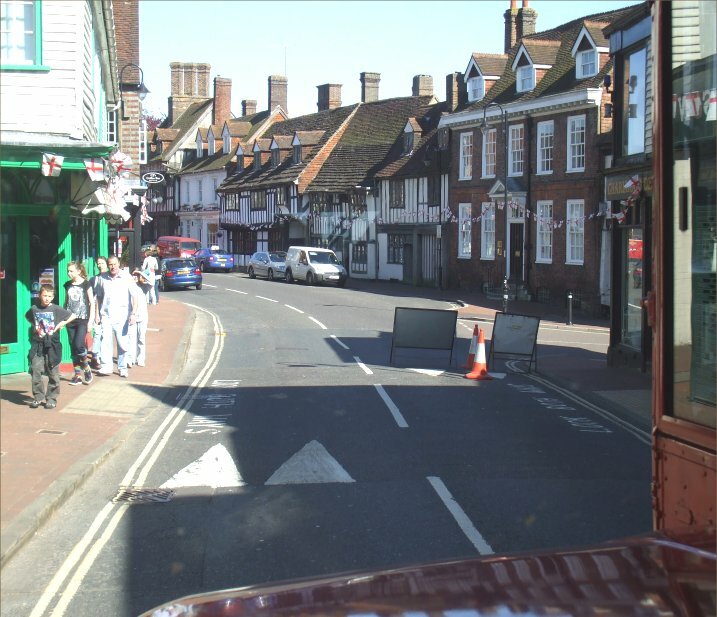 As usual we avoided the village, using the by-pass to descend to the County Boundary (East Sussex this time), and on down to cross the river into Forest Row. 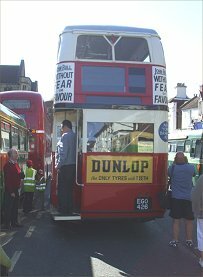 We climbed up through Forest Row, and turned left along the Tunbridge Wells Road, along the route extension permitted when the railway closed. As we slowed for the turn into Station Approach RML2330 emerged, heading for Dormansland once more. 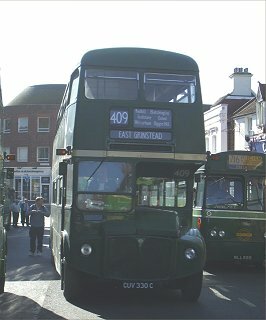 We turned in, turned in the station yard, and were back at the same spot a few minutes later. 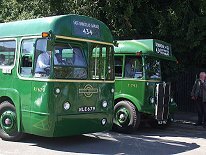 We rturned through the village to the bus stop at The Bramble Tye Inn, the original terminus for the London Transport route. 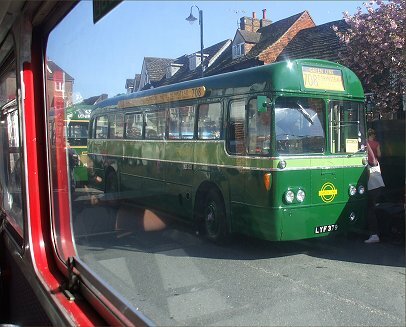 There we stood for a few minutes, and I used the opportunity to take some pictures of this very nice RML. 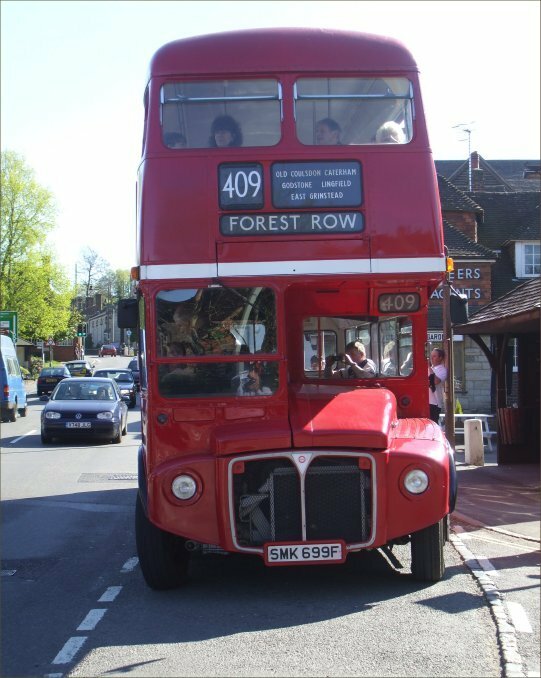 We set off back to East Grinstead, climbing up the long hill past Ashurst Wood. Here came RT604, running down the hill on the next scheduled 409 to Forest Row. 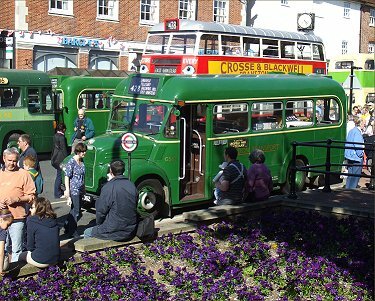 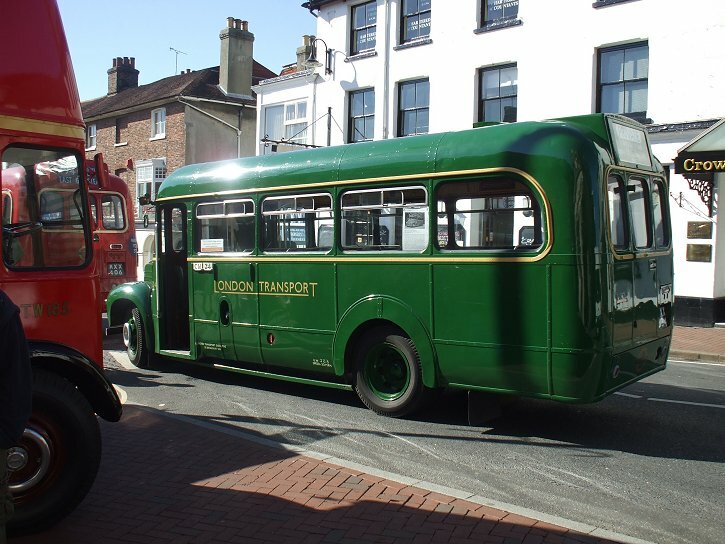 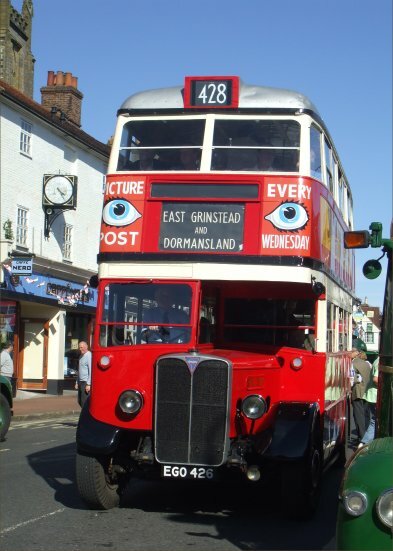 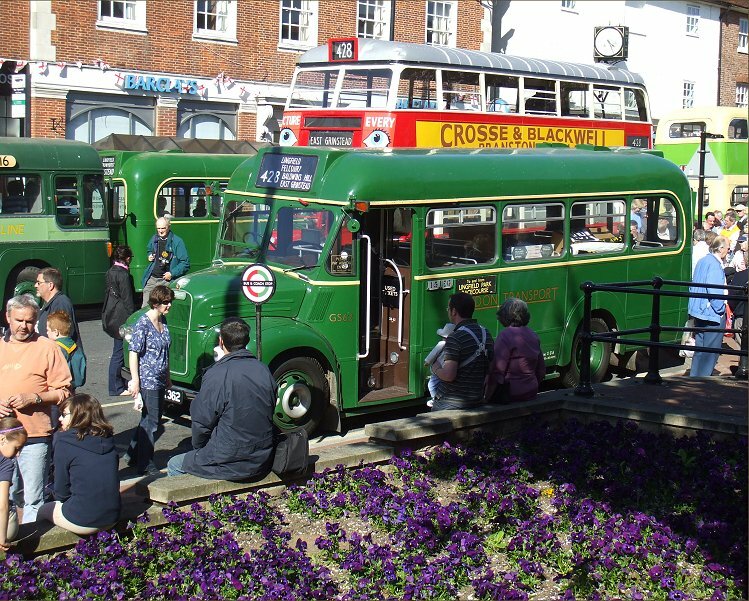 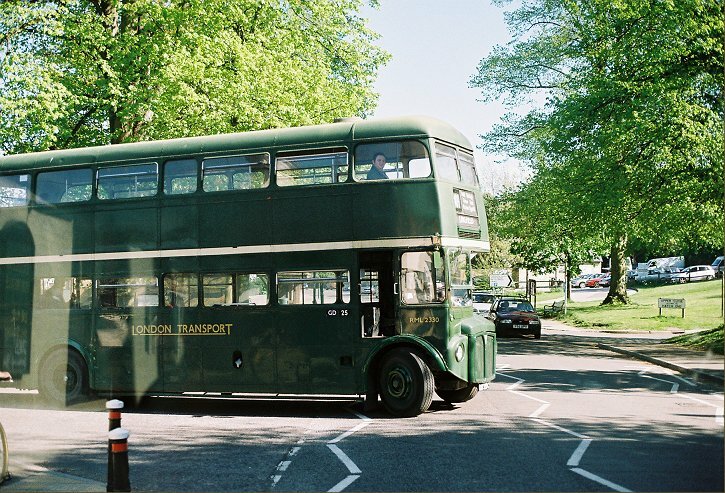 Soon we were back in East Grinstead, where buses were gathering before final departure. 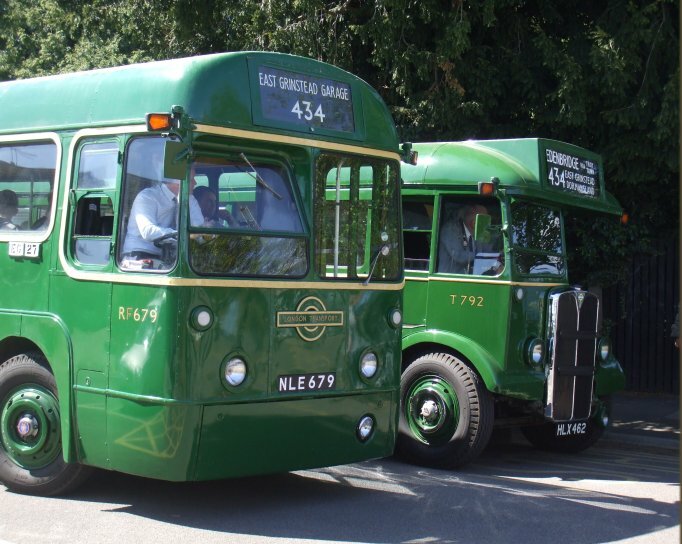 STL2377 was ready to depart for Cobham after its day on the 428, and ex-Southdown 424 was resting after its labours on the 409. 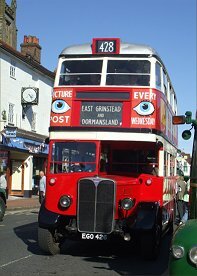 GS34 was also there, after a day on the 494, standing in front of RTW185, there in association with a trade stand. GS2 and GS62 had also arrived, standing opposite each other by the War Memorial. 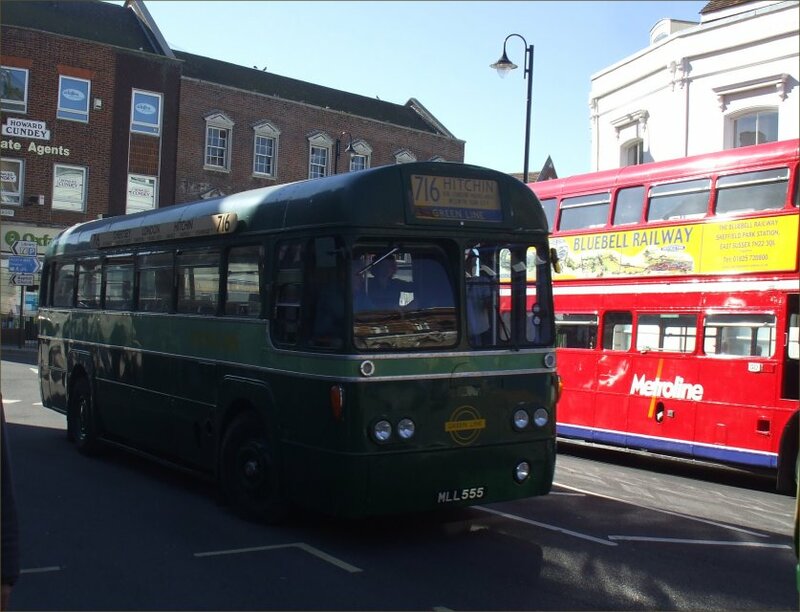 Visiting RF168 squeezed round the corner onto the High Street, past RML2731, and was soon followed by RML2330, arriving on the last 409 from Dormansland prior to heading north for West Croydon. 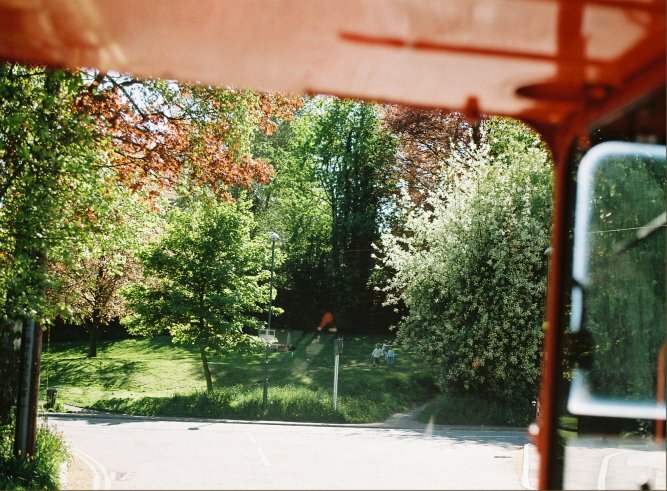 Part Seven: Green Line to Bromley.